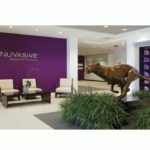 CAMBRIDGE, Mass.–(BUSINESS WIRE)–InVivo Therapeutics Holdings Corp. (NVIV) today announced that two INSPIRE study Principal Investigators, Dom Coric, M.D. and Michael Fehlings, M.D., Ph.D., will be giving oral presentations at the Spine Summit 2017 to be held March 8-11, 2017 in Las Vegas, NV. Dr. Coric will present “INSPIRE Study Update on 10 Subjects Implanted with a Bioresorbable Polymer Scaffold Following Acute Complete Thoracic Spinal Cord Injury,” and Dr. Fehlings will present “Magnetic Resonance Imaging (MRI) Does Not Distinguish between Contusion and Compound Cord Lesions Following Severe (AIS A) Traumatic Acute Thoracic Cord Injury: Intraoperative Microsurgical Observations from the INSPIRE Trial” during the Peripheral Nerve, Basic Science Breakout session on Saturday, March 11. Dr. Fehlings will also present during a What’s New Session on Friday, March 10. The session will include discussion of the Neuro-Spinal Scaffold™technology and INSPIRE study and will continue to raise awareness amongst leading spine neurosurgeons. The company will also have an exhibit booth to further foster relationships with the neurosurgical community. The meeting is the 33rd Annual Meeting of the AANS/CNS (American Associations of Neurological Surgeons / Congress of Neurological Surgeons) Joint Section on Disorders of the Spine and Peripheral Nerves and is being held in collaboration with the Korean Spinal Neurosurgery Society. Following an acute spinal cord injury, the biodegradable Neuro-Spinal Scaffold is surgically implanted at the epicenter of the wound and is designed to act as a physical substrate for nerve sprouting. Appositional healing to spare spinal cord tissue, decreased post-traumatic cyst formation, and decreased spinal cord tissue pressure have been demonstrated in preclinical models of spinal cord contusion injury. The Neuro-Spinal Scaffold, an investigational device, has received a Humanitarian Use Device (HUD) designation and currently is being evaluated in the INSPIRE pivotal probable benefit study for the treatment of patients with complete (AIS A) traumatic acute spinal cord injury. 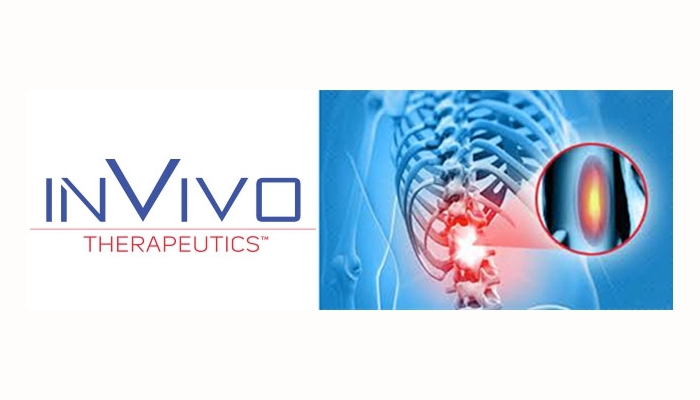 InVivo Therapeutics Holdings Corp. is a research and clinical-stage biomaterials and biotechnology company with a focus on treatment of spinal cord injuries. The company was founded in 2005 with proprietary technology co-invented by Robert Langer, Sc.D., Professor at Massachusetts Institute of Technology, and Joseph P. Vacanti, M.D., who then was at Boston Children’s Hospital and who now is affiliated with Massachusetts General Hospital. In 2011, the company earned the David S. Apple Award from the American Spinal Injury Association for its outstanding contribution to spinal cord injury medicine. In 2015, the company’s investigational Neuro-Spinal Scaffoldreceived the 2015 Becker’s Healthcare Spine Device Award. The publicly-traded company is headquartered in Cambridge, MA. For more details, visit www.invivotherapeutics.com. Any statements contained in this press release that do not describe historical facts may constitute forward-looking statements within the meaning of the federal securities laws. These statements can be identified by words such as “believe,” “anticipate,” “intend,” “estimate,” “will,” “may,” “should,” “expect,” “designed to,” “potentially,” and similar expressions, and include statements regarding the addition of new sites. Any forward-looking statements contained herein are based on current expectations, and are subject to a number of risks and uncertainties. Factors that could cause actual future results to differ materially from current expectations include, but are not limited to, risks and uncertainties relating to the company’s ability to successfully open additional clinical sites for enrollment and to enroll additional patients; the ability to complete the INSPIRE study and submit an HDE; the company’s ability to receive regulatory approval for the Neuro-Spinal Scaffold; the company’s ability to commercialize its products; the company’s ability to develop, market and sell products based on its technology; the expected benefits and efficacy of the company’s products and technology in connection with the treatment of spinal cord injuries; the availability of substantial additional funding for the company to continue its operations and to conduct research and development, clinical studies and future product commercialization; and other risks associated with the company’s business, research, product development, regulatory approval, marketing and distribution plans and strategies identified and described in more detail in the company’s Annual Report on Form 10-K for the year ended December 31, 2015, and its other filings with the SEC, including the company’s Form 10-Qs and current reports on Form 8-K. The company does not undertake to update these forward-looking statements. It has been reported that approximately 20% of patients are not satisfied with the outcome of their total knee replacement as a result of residual pain and functional issues often attributed to implant design.2 MicroPort’s Medial-Pivot Knee System is uniquely designed to restore stability and normal knee kinematics to deliver reproducible outcomes that can improve function and drive patient satisfaction. The paper, titled, A Long Term Clinical Outcome of the Medial Pivot Knee Arthroplasty System was authored by George A Macheras et al. from the “KAT” General Hospital, Athens, Greece. In the study, 325 patients with knee osteoarthritis underwent Total Knee Arthroplasty (TKA) using the Medial-Pivot prosthesis. All patients showed a statistically significant improvement in the Knee Society clinical rating system, Western Ontario and McMaster Universities Osteoarthritis Index, and Oxford knee score. The majority of patients (94%) were able to perform age-appropriate activities with average knee flexion of 120° and 98% of patients reported relief of pain to be excellent, very good or good. Additionally, survival analysis showed a cumulative success rate of 98.8% at 17 years. 1. George A. Macheras et al. “A long term clinical outcome of the Medial Pivot Knee Arthroplasty System.” The Knee Journal, Published: January 29, 2017. 2. Thambiah, Matthew Dhanaraj et al. “Patient Satisfaction after Total Knee Arthroplasty: An Asian Perspective.” Singapore Medical Journal 56.5 (2015): 259–263. PMC. Web. 22 Feb. 2017. COLLEGEVILLE, Pa.–(BUSINESS WIRE)–Synergy Biomedical, LLC, a developer of innovative bone graft products for spine and orthopedic surgery, announced today that it has received CE Mark clearance in the European Union for its next generation bone graft, BIOSPHERE PUTTY. Originally launched in the U.S. in 2013, BIOSPHERE PUTTY is a synthetic bone graft product that utilizes a unique form of bioactive glass in combination with a moldable phospholipid carrier. Based on the Company’s patented BioSphere Technology, BIOSPHERE PUTTY has been shown in vivo to significantly improve the healing potential of bioactive glass due to its spherical particle shape and optimized, bimodal size range. Under its cleared European indication, BIOSPHERE PUTTY is intended to be used as a bone graft material for filling bony voids or gaps of the skeletal system. This includes the use of the product for interbody and posterolateral fusion, and general bone defect filling in the extremities and pelvis. The product may be used alone or in combination with autograft or allograft. BIOSPHERE PUTTY is the first of several bone graft products being developed by Synergy Biomedical that utilize patented bioactive glass spheres that have been shown to improve the bone healing potential of bioactive glass. BIOSPHERE PUTTY provides surgeons with a moldable bone graft material that is easy to use and compatible with a variety of bone grafting techniques. Founded in 2011, Synergy Biomedical is a privately-held medical device company focused on bringing innovative biomaterial based products to the orthopaedic and spinal markets. The Company’s BioSphere Technology represents a unique approach to advancing bone graft technology, and improving bone healing and patient outcomes. IRVINE, Calif.–(BUSINESS WIRE)–joimax® further ensures its market access in Asia. The German based market leader of technologies and training methods for endoscopic minimally invasive spinal surgery is expanding its presence and recently has obtained full product registration from the Thai Food & Drug Administration (FDA). joimax® also has approvals in South Korea, China, Singapore, Indonesia, Hong Kong and Vietnam. For Malaysia, Taiwan and Japan, the certification for the product range is expected in 2017. “We are constantly pushing the registration process in Asia to extend the availability of joimax® products. Thus, joimax® is well prepared to further widen its market presence in Asia, demonstrating our commitment to the fastest growing region of the world,” states Wolfgang Ries, Founder and CEO of joimax®. For years, joimax® has been working with the Korean Wooridul group, the world’s largest Specialized Spine Hospital Network. Starting in 2017, joimax®, together with the Wooridul Hospital in Seoul, will offer International courses for Minimally Invasive Spinal Surgery (MISS). In a series of four courses, provided in basic and advanced level, the education of international spine surgeons is ensured. The first one, chaired by joimax® faculty Dr. Sang-Ho Lee, South Korea, recently took place. The one-week training programs offer surgeons the opportunity to learn percutaneous endoscopic techniques and other minimally-invasive procedures with lectures, operation observation and hands-on-workshops. Since 2004, more than 600 spine surgeons and specialists from 41 countries have participated in these courses at Wooridul. 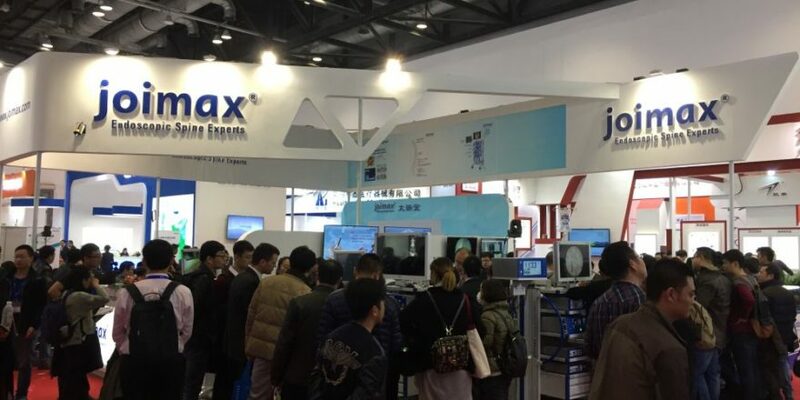 After the National Minimal Invasive Spinal Summit Forum, together with the 4th joimax® User Meeting in December, joimax® China, headquartered in Chengdu, will celebrate its 10th birthday in April 2017. On this occasion, numerous internationally well-known faculties will meet in Chongqing, China to share experience and expertise. Lectures and live surgeries are planned to be held in two hospitals and to be broadcasted via Internet. Founded in Karlsruhe, Germany, in 2001, joimax® is the leading developer and marketer of complete systems for endoscopic minimally invasive spinal surgery. With TESSYS® (transforaminal), iLESSYS® (interlaminar) and CESSYS® (cervical) for decompression procedures, MultiZYTE® RT (e.g. for rhizotomy) and with MultiZYTE® SI for SI-Joint therapy or with EndoLIF® and Percusys® for endoscopic minimally-invasive assisted stabilizations, proven endoscopic systems are provided that, together, cover a whole variety of indications. In procedures for herniated disc, stenosis, pain therapy or spinal stabilization treatment, surgeons utilize joimax® technologies to operate through small incisions – under local or full anesthetic – via tissue and muscle-sparing corridors through natural openings into the spinal canal (e.g. intervertebral foramen, the “Kambin triangle”). SHANGHAI, China and CUPERTINO, Calif., Feb. 27, 2017 (GLOBE NEWSWIRE) — Cellular Biomedicine Group Inc. (NASDAQ:CBMG) (“CBMG” or the “Company”), a clinical-stage biopharmaceutical firm engaged in the development of effective immunotherapies for cancer and stem cell therapies for degenerative diseases, announced today that the governing Board of the California Institute for Regenerative Medicine (CIRM), California’s stem cell agency, has awarded the Company $2.29 million to support pre-clinical studies of AlloJoinTM, CBMG’s “Off-the-Shelf” Allogeneic Human Adipose-derived Mesenchymal Stem Cells for the treatment of Knee Osteoarthritis in the United States. While CBMG recently commenced two Phase I human clinical trials in China using CAR-T to treat relapsed/refractory CD19+ B-cell Acute Lymphoblastic Leukemia (ALL) and Refractory Diffuse Large B-cell Lymphoma (DLBCL) as well as an ongoing Phase I trial in China for AlloJoinTM in Knee Osteoarthritis (KOA), this latest announcement represents CBMG’s initial entrance into the United States for its “off-the-shelf” allogeneic stem cell candidate AlloJoinTM. The $2.29 million was granted under the CIRM 2.0 program, a comprehensive collaborative initiative designed to accelerate the development of stem cell-based treatments for people with unmet medical needs. After the award, CIRM will be a more active partner with its recipients to further increase the likelihood of clinical success and help advance a pre-clinical applicant’s research along a funding pipeline towards clinical trials. CBMG’s KOA pre-clinical program is considered late-stage, and therefore it meets CIRM 2.0’s intent to accelerate support for clinical stage development for identified candidates of stem cell treatments that demonstrate scientific excellence. “We are deeply appreciative to CIRM for their support and validation of the therapeutic potential of our KOA therapy,” said Tony (Bizuo) Liu, Chief Executive Officer of CBMG. “We thank Dr. C. Thomas Vangsness, Jr., in the Department of Orthopaedic Surgery at the Keck School of Medicine of the University of Southern California and Dr. Qing Liu-Michael at the Broad Center for Regenerative Medicine and Stem Cell Research at USC, who helped significantly with the grant application process. The CIRM grant is the first step in bringing our allogeneic human adipose-derived mesenchymal stem cell treatment for knee osteoarthritis (AlloJoinTM) to the U.S. market. 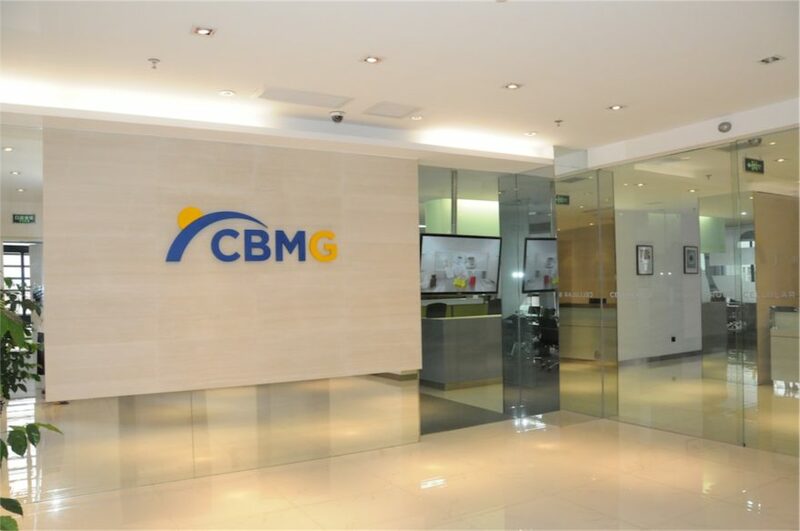 CBMG recently announced promising interim 3-month safety data from its Phase I clinical trial in China for AlloJoinTM, its off-the-shelf allogeneic stem cell therapy for KOA. The trial is on schedule to be completed by the third quarter of 2017. At CIRM, we never forget that we were created by the people of California to accelerate stem cell treatments to patients with unmet medical needs, and to act with a sense of urgency commensurate with that mission. To meet this challenge, our team of highly trained and experienced professionals actively partners with both academia and industry in a hands-on, entrepreneurial environment to fast track the development of today’s most promising stem cell technologies. With $3 billion in funding and over 280 active stem cell programs in our portfolio, CIRM is the world’s largest institution dedicated to helping people by bringing the future of medicine closer to reality. For more information, please visit www.cirm.ca.gov. According to the Foundation for the National Institutes of Health, there are 27 million Americans with Osteoarthritis (OA), and symptomatic Knee Osteoarthritis (KOA) occurs in 13% of persons aged 60 and older. The International Journal of Rheumatic Diseases, 2011 reports that approximately 57 million people in China suffer from KOA. Currently no treatment exists that can effectively preserve knee joint cartilage or slow the progression of KOA. Current common drug-based methods of management, including anti-inflammatory medications (NSAIDs), only relieve symptoms and carry the risk of side effects. 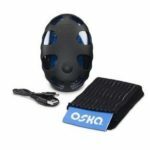 Patients with KOA suffer from compromised mobility, leading to sedentary lifestyles; doubling the risk of cardiovascular diseases, diabetes, and obesity; and increasing the risk of all causes of mortality, colon cancer, high blood pressure, osteoporosis, lipid disorders, depression and anxiety. According to the Epidemiology of Rheumatic Disease (Silman AJ, Hochberg MC. Oxford Univ. Press, 1993:257), 53% of patients with KOA will eventually become disabled. Cellular Biomedicine Group, Inc. develops proprietary cell therapies for the treatment of cancer and degenerative diseases. Our immuno-oncology and stem cell projects are the result of research and development by CBMG’s scientists and clinicians from both China and the United States. Our GMP facilities in China, consisting of twelve independent cell production lines, are designed and managed according to both China and U.S. GMP standards. To learn more about CBMG, please visit www.cellbiomedgroup.com. AUDUBON, Pa., Feb. 27, 2017 (GLOBE NEWSWIRE) — Globus Medical, Inc. (NYSE:GMED), a leading musculoskeletal implant manufacturer, today announced its financial results for the fourth quarter and year ended December 31, 2016. David Paul, Chairman and CEO said, “Fourth quarter sales were $151.6 million, a year-over-year increase of 6.3%. Despite our increased spending in support of our pending robotics and trauma launches, our adjusted EBITDA margins was an outstanding 37.7%. We also delivered EPS of $0.25 and non GAAP EPS of $0.31. Fourth quarter sales in the U.S. decreased by 2.7% compared to the fourth quarter of 2015, primarily due to one less selling day in the fourth quarter of 2016. International sales increased by 109.0% over the fourth quarter of 2015 on an as reported basis and 111.8% on a constant currency basis. Fourth quarter GAAP net income was $24.3 million, a decrease of 35.4% over the same period last year resulting from the one-time positive net income impact of $7.6 million in 2015 due to the settlement of outstanding litigation. Diluted EPS for the fourth quarter was $0.25, as compared to $0.39 for the fourth quarter 2015. Non-GAAP diluted EPS, which removes the impact of this litigation and acquisition related expenses, for the fourth quarter was $0.31, compared to $0.32 in the fourth quarter of 2015. The company generated net cash provided by operating activities of $51.9 million and non-GAAP free cash flow of $37.7 million in the fourth quarter. Cash, cash equivalents and marketable securities ended the quarter at $350.8 million. The company remains debt free. The company plans to request an extension to file its Annual Report on Form 10-K for the fiscal year ended December 31, 2016 by filing Form 12b-25, Notification of Late Filing with the Securities and Exchange Commission. The company concluded it is not able to compile all information necessary to complete its Form 10-K by March 1, 2017 without unreasonable effort or expense. The company anticipates filing its Form 10-K for the fiscal year ended December 31, 2016 within the extension period. The company projects 2017 full year sales of $625 million and and non-GAAP fully diluted earnings per share of $1.27. The call will be archived until Monday, March 6, 2017. The audio archive can be accessed by calling 1-855-859-2056 in the U.S. or 1-404-537-3406 from outside the U.S. The passcode for the audio replay is 6940-2658. To supplement our financial statements prepared in accordance with U.S. generally accepted accounting principles (“U.S. GAAP”), management uses certain non-GAAP financial measures. For example, non-GAAP adjusted EBITDA, which represents net income before interest income, net and other non-operating expenses, provision for income taxes, depreciation and amortization, stock-based compensation, provisions for litigation, technology in-licensing fee, and acquisition related costs, is useful as an additional measure of operating performance, and particularly as a measure of comparative operating performance from period to period, as it is reflective of changes in pricing decisions, cost controls and other factors that affect operating performance, and it removes the effect of our capital structure, asset base, income taxes and interest income and expense. Our management also uses non-GAAP adjusted EBITDA for planning purposes, including the preparation of our annual operating budget and financial projections. Provision for litigation represents costs incurred for litigation settlements or unfavorable verdicts when the loss is known or considered probable and the amount can be reasonably estimated, or in the case of a favorable settlement, when income is realized. Acquisition related costs/licensing represents the change in fair value of business acquisition related contingent consideration; costs related to integrating recently acquired businesses including but not limited to costs to exit or convert contractual obligations, severance, and information system conversion; and specific costs related to the consummation of the acquisition process such as banker fees, legal fees, and other acquisition related professional fees, as well as one time licensing fees. In addition, for the period ended December 31, 2016 and for other comparative periods, we are presenting non-GAAP net income and non-GAAP diluted earnings per share, which represents net income and diluted earnings per share excluding the provision for litigation, amortization of intangibles, acquisition related costs/licensing, prior period adjustment and the tax effects of such adjustments. Prior period adjustments represent the cumulative impact of prior year adjustments related to depreciation, scrap and provision for excess and obsolete inventory, none of which were individually material to the related year’s financial position or results of operations. We believe these non-GAAP measures are also useful indicators of our operating performance, and particularly as additional measures of comparative operating performance from period to period as they remove the effects of litigation, amortization of intangibles, acquisition related costs/licensing, prior period adjustments and the tax effects of such adjustments, which we believe are not reflective of underlying business trends. Additionally, for the periods ended December 31, 2016 and for other comparative periods, we also define the non-GAAP measure of free cash flow as the net cash provided by operating activities, adjusted for the impact of restricted cash, less the cash impact of purchases of property and equipment. We believe that this financial measure provides meaningful information for evaluating our overall financial performance for comparative periods as it facilitates an assessment of funds available to satisfy current and future obligations and fund acquisitions. Furthermore, the non-GAAP measure of constant currency sales growth is calculated by translating current year sales at the same average exchange rates in effect during the applicable prior year period. We believe constant currency sales growth provides insight to the comparative increase or decrease in period sales, in dollar and percentage terms, excluding the effects of fluctuations in foreign currency exchange rates. DALLAS, TX–(Marketwired – Feb 27, 2017) – TissueGen® Inc., developer of ELUTE® fiber, a groundbreaking biodegradable fiber format for advanced drug delivery, today announced that Lisa A. Fortier, DVM, PhD, DACVS, has joined the company’s scientific advisory board. Dr. Fortier is a professor of surgery at Cornell University with a particular interest in translational research including the prevention of post-traumatic osteoarthritis. In addition, her internationally renowned research investigates the clinical application of stem cells and biologics such as platelet-rich plasma and bone marrow concentrate for cartilage repair and tendinosis. Dr. Fortier has received the Jacques Lemans Award from the International Cartilage Repair Society, the New Investigator Research Award from the Orthopaedic Research Society, and the Pfizer Research Award for Research Excellence from Cornell University. She is the vice president of the International Veterinary Regenerative Medicine Society, past president of the International Cartilage Repair Society, and director of the Equine Park at Cornell University. 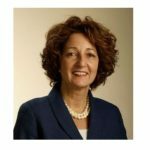 “We are excited to welcome Dr. Fortier as a member of our scientific advisory board. Her invaluable expertise will guide our development of ELUTE fiber for controlled sustained delivery of sensitive biologics and pharmaceuticals in orthopedic applications,” said Christopher Knowles, president, TissueGen. TissueGen’s ELUTE fiber directly replaces standard fibers in biodegradable medical textiles and may significantly improve clinical outcomes by delivering therapeutic agents directly at the surgical site. Through localized delivery of drugs at the site of implantation, ELUTE fibers may orchestrate the body’s healing and regenerative processes. Dr. Fortier received her DVM from Colorado State University and completed her PhD and surgical residency training at Cornell University. She is boarded with the American College of Veterinary Surgeons and practices equine orthopedic surgery at Cornell University and at the Cornell Ruffian Equine Specialists. TissueGen® Inc. is the developer of ELUTE® fiber, a groundbreaking biodegradable fiber format for advanced drug delivery, nerve regeneration, and tissue engineering. TissueGen has more than four decades of cumulative experience in extruding biodegradable polymer fibers with broad drug delivery capabilities. ELUTE fiber can directly replace standard fibers used in biodegradable textiles currently on the market and provide significantly improved clinical outcomes by delivering therapeutic agents directly at the site of the implant. By delivering pharmaceuticals and biologics at the site of implantation, ELUTE fiber enables medical devices to guide the body’s healing and regenerative processes. For more information, please visit www.tissuegen.com. FEBRUARY 21, 2017 – RESEARCHMOZ GLOBAL PVT. LTD. The 2016 study has 145 pages, 64 tables and figures. Worldwide Hip and Knee Orthopedic surgical robot markets are poised to achieve significant growth. The accuracy provided by the robot is not reproducible by the human surgeon, so ultimately all surgeons will want to perform the orthopedic implants using this technology. 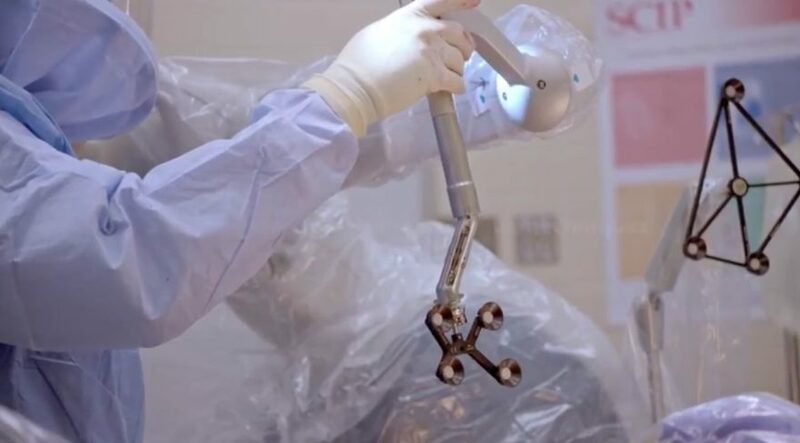 Robot assisted medial knee arthroplasty: orthopedic surgical robots are poised to take knee and hip surgery quality far beyond what has previously been available. The quality of knee arthroplasty is improved with robotic capability. All the advantages of surgical robots carry into the Stryker Mako orthopedic reconstruction surgical products.. When the knee and hip surgical robots are used, patients have less bleeding, reduction of post-operative pain, fewer re-admissions to hospital and faster recovery. Robots support high-precision surgery. 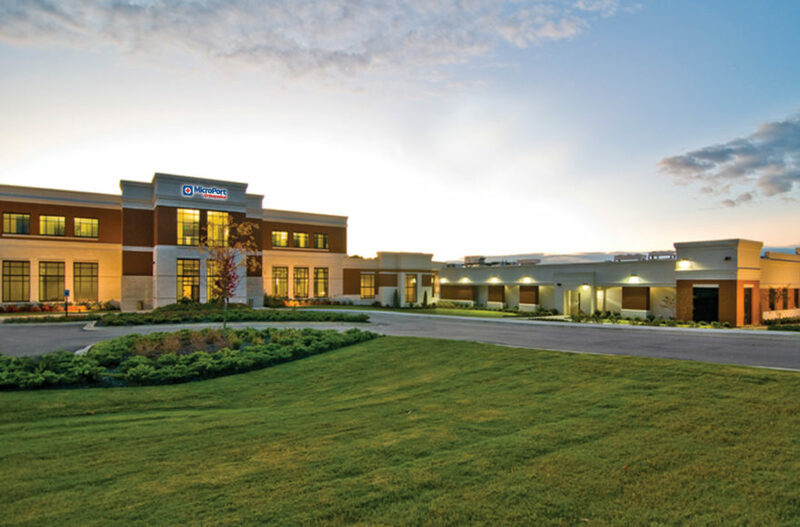 A clinic in Switzerland, La Source, has reported a reduction in the average days of hospitalization from 10 to 6. Knee and hip surgical robots provide consistent reproducible precision. This capability is so significant for implant surgery that the robots are positioned to become the defacto standard of care for knee and hip surgery within five years. Any one getting a knee or hip replaced will demand attention to quality of life, to maintenance of lifestyle provided by a robot when they have a joint replacement. As next generation systems, hip and knee robotic units provide a way to improve traditional orthopedic hip and knee replacement surgery. Total hip replacement surgery has evolved dramatically as advances in technology have brought improved surgical techniques. Surgical robots are a significany [art of that advance. Once, the penetration achieves this 35% level, all orthopedic surgeons will demand that hospitals offer robotic orthopedic surgical capability because the outcomes are more predictable and better. If the hospital does not offer the robot, the surgeon will move to a more modern facility. Knee and Hip Surgical Robots have been impacted by the reduction in insurance payments. 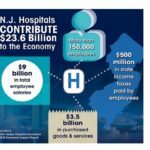 Payment reductions have forced hospitals to start acting as businesses. The cost of delivering care has become as much a factor as providing quality care when making decisions about patient improvement in condition. Cost-cutting has been made in the supply chain. Suppliers were examined closely for quality and cost. 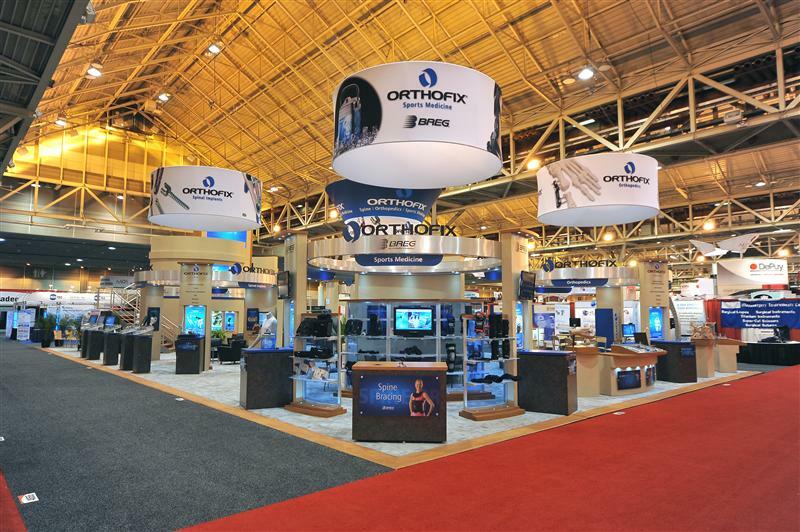 Orthofix International N.V. (OFIX) today reported its financial results for the fourth quarter and fiscal year ended December 31, 2016. For the fourth quarter of 2016, net sales were $108.5 million, loss per share from continuing operations was ($0.29) and adjusted earnings per share from continuing operations was $0.42. For fiscal year 2016, net sales were $409.8 million, earnings per share from continuing operations was $0.19 and adjusted earnings per share from continuing operations was $1.46. Gross profit increased $2.0 million to $85.2 million. Gross margin decreased to 78.5% compared to 79.5% in the prior year period, primarily due to an increase in the mix of net sales from our Extremity Fixation SBU, which have lower margins than our regenerative products. Net margin (gross profit less sales and marketing expenses) was $36.5 million, a decrease of 5.1% compared to $38.5 million in the prior year period. The decrease in net margin was primarily due to higher sales and marketing expenses, driven by higher compensation costs, including commissions. Net loss from continuing operations was $5.1 million, or ($0.29) per share, compared to net income of $2.1 million, or $0.11 per share in the prior year period. Adjusted net income from continuing operations was $7.7 million, or $0.42 per share, compared to adjusted net income of $7.6 million, or $0.40 per share in the prior year period. EBITDA was $8.6 million, compared to $12.5 million in the prior year period. Adjusted EBITDA was $21.1 million or 19.4% of net sales for the fourth quarter, compared to $19.3 million or 18.4% of net sales in the prior year period. Gross profit increased $12.0 million to $321.9 million and gross margin increased to 78.6% compared to 78.2% in the prior year period. The increase in gross profit and gross margin was driven by an increase in sales, an increase in sales mix for our BioStim products, and lower fixed costs. Net margin was $140.6 million, an increase of 6.6% compared to $131.9 million in the prior year period. The increase in net margin was due to the higher gross profit, partially offset by higher sales and marketing expenses, including an increase in commissions as a result of the increase in net sales. Net income from continuing operations was $3.5 million, or $0.19 per share, compared to net loss of $2.3 million, or ($0.12) per share in the prior year. Adjusted net income from continuing operations was $27.0 million, or $1.46 per share, compared to adjusted net income of $19.9 million, or $1.05 per share in the prior year. EBITDA was $39.1 million, compared to $29.9 million in the prior year. Adjusted EBITDA was $79.3 million or 19.4% of net sales for the year, compared to $60.7 million or 15.3% of net sales in the prior year. As of December 31, 2016, cash and cash equivalents were $39.6 million compared to $63.7 million as of December 31, 2015. The decrease in cash and cash equivalents is due primarily to the repurchase of shares and funding the settlements with the SEC. As of December 31, 2016, we had no outstanding indebtedness and borrowing capacity of $125 million. Cash flow from operations increased $1.1 million to $44.7 million, while free cash flow increased $10.7 million to $26.4 million. SALT LAKE CITY, UT–(Marketwired – Feb 27, 2017) – Amedica Corporation (NASDAQ: AMDA), an innovative biomaterial company which develops and manufactures silicon nitride as a platform for biomedical applications, announced today that Researchers from the Department of Orthopaedic Surgery of Tokyo Medical University (Shinjuku-ku, Tokyo, Japan) led by Professor Kengo Yamamoto MD PhD recently completed a five million cycle (Mc) comparative hip simulator study examining the wear behavior of an advanced highly cross-linked and vitamin E stabilized polyethylene (E1® Zimmer-Biomet, Warsaw, IN, USA) against two different types of ceramic femoral heads — MC2®silicon nitride (Amedica Corporation, Salt Lake City, UT, USA) and BIOLOX®delta (CeramTec, Plochingen, Germany). BIOLOX®delta is currently considered the “gold standard” for ceramic femoral head materials. While the polyethylene wear loss induced by both types of ceramic heads was extremely small (< 0.60 mg/Mc), mean wear associated with MC2®silicon nitride heads was approximately 15% lower than the BIOLOX®delta components. This independent wear study was conducted in accordance with international standards at the Medical Technology Laboratory of the Rizzoli Orthopaedic Institute (Bologna, Italy) by Professor Aldo Toni MD under the supervision of Dr. Saverio Affatato PhD (Rizzoli Institute) with consultation and support from Professor Giuseppe Pezzotti PhD (Ceramic Physics Laboratory, Kyoto Institute of Technology, Sakyo-ku, Kyoto Japan). Amedica and Zimmer-Biomet (Tokyo Office) provided the femoral heads and acetabular liners; however, neither company actively sponsored the research. The testing was independently conceived by Professors Yamamoto and Pezzotti, and funded by the Department of Orthopaedic Surgery of Tokyo Medical University. This is the first reported improvement in polyethylene wear performance by a ceramic other than BIOLOX®delta; and it is part of a series of planned comparative wear tests that will culminate at 12 Mc. Further details of this interim hip simulation test will be provided in a joint publication planned for release in a scientific journal. 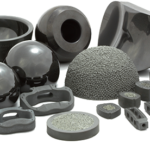 Amedica is focused on the development and application of medical-grade silicon nitride ceramics. Amedica markets spinal fusion products and is developing a new generation of wear- and corrosion-resistant implant components for hip and knee arthroplasty. The Company manufactures its products in its ISO 13485 certified manufacturing facility and, through its partnership with Kyocera, the world’s largest ceramic manufacturer. Amedica’s spine products are FDA-cleared, CE-marked, and are currently marketed in the U.S. and select markets in Europe and South America through its distributor network and its OEM partnerships. This press release contains statements that constitute forward-looking statements within the meaning of the Securities Act of 1933 and the Securities Exchange Act of 1934, as amended by the Private Securities Litigation Reform Act of 1995. These statements are based upon our current expectations and speak only as of the date hereof. Our actual results may differ materially and adversely from those expressed in any forward-looking statements as a result of various factors and uncertainties. For example, there can be no assurance that we will be able to maintain our listing on any NASDAQ market. Other factors that could cause actual results to differ materially from those contemplated within this press release can also be found in Amedica’s Risk Factors disclosure in its Annual Report on Form 10-K, filed with the Securities and Exchange Commission (SEC) on March 23, 2016, and in Amedica’s other filings with the SEC. Forward-looking statements contained in this press release speak only as of the date of this press release. We undertake no obligation to update any forward-looking statements as a result of new information, events or circumstances or other factors arising or coming to our attention after the date hereof.